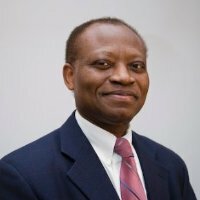 Augustin Kwasi FOSU is a Professor at ISSER, University of Ghana, Legon. He also holds several other (honorary) appointments, including: Extraordinary Professor, University of Pretoria, South Africa; Research Associate (BWPI), University of Manchester, UK; and Research Associate (CSAE), University of Oxford, UK. Previously he was Deputy Director, United Nations University-WIDER, Helsinki; Senior Policy Advisor/Chief Economist, UN Economic Commission for Africa, Addis Ababa; and Director of Research, African Economic Research Consortium (AERC), Nairobi. He holds a master’s and a PhD in economics from Northwestern University, USA, and a bachelor’s with distinction in mathematics and economics from Lawrence University, USA. He taught for many years in the USA and was promoted to Associate Professor of Economics in 1986 and to Professor of Economics in 1993. He has served as an expert in numerous international capacities. Among his editorial appointments for instance are: Editor-in-Chief, Journal of African Trade (Elsevier Sciences), Co-editor, Journal of African Economies (Oxford), and membership on editorial boards of many other journals (current or recent), including: Journal of Development Studies, Oxford Development Studies, World Bank Economic Review, and World Development. Prof. Fosu has published extensively, with certain sources ranking him among ‘top economists’: e.g., ‘top 8 percent of authors’ globally, and 2nd in Africa: http://ideas.repec.org/top/top.africa.html#authors (website accessed on 09 February 2016). Locally he, inter alia, served on the President’s Economic Advisory Council in 2012.